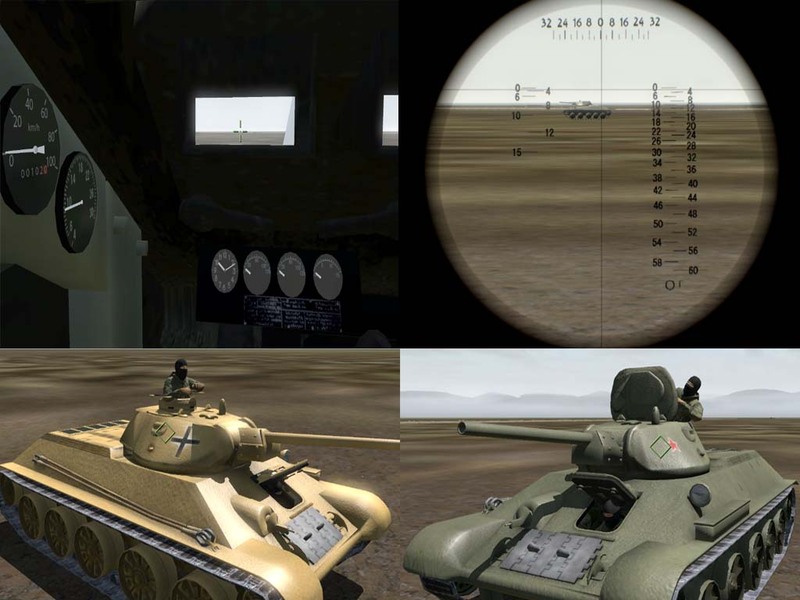 When you get in T34/76 as commander, you can adjust reticle by shift+numpad 2,4,6,8. This tank has realistic hitpoints. I mean, the tank destroyed when a shell go through armor (RHA 45mm). Deflecting don't cause fatal damage. EDit: Nice cockpit. but no recoil when shooting? I forgot recoil effect,maybe I'll add next release.